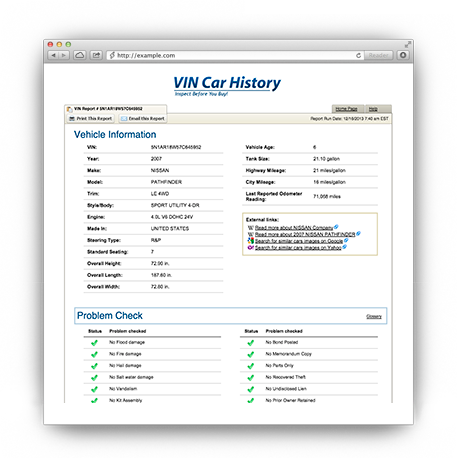 Vehicle History Reports for 2006 Chrysler Town and Country is available. Every vehicle has a story. Don't risk buying Chrysler Town and Country with an unknown history, get instant certified Vehicle History Report. © 2015 VIN History. All rights reserved.